Milan Tobacconists offers a wide variety of fine Cigar Cutters, Knives, Punches, and Scissors for the discerning smoker at reasonable prices. Only our most popular products are listed here. If you are unable to easily locate a particular cutter, knife, punch, or scissors please give us a call at 877.70MILAN or send an email to customercare@milantobacco.com. We'll do our best to make a match! Colibri's founder Julius Lowenthal began with a vision that would transform the world of cigars and launch an international brand in 1928. Today, Colibri brings you the same classic styling and engineering leadership along with superb modern functionality. Enjoy cigar cutters that are beautiful to behold and engineered to offer a precision cut every time. The strikingly elegant and contemporary look of the Escurio Cigar Punch seamlessly merges functionality with distinctive style. Made from strong zinc alloy and equipped with a 9.9 mm razor sharp cutting blade, the Escurio Cigar Punch will easily and cleanly cut your premium cigars. 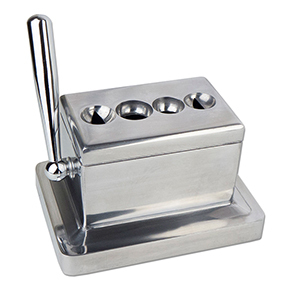 These substantial tabletop cigar cutters are the perfect addition to your office or smoking den, offering simple elegance, versatility, and convenience. Made from cast aluminum, the Tabletop Quad Cigar Cutter's two guillotine and two v-cut ports feature razor sharp stainless steel cutting blades that engage with a smooth and easy pull of the side lever. XIKAR Cigar Cutters, Knives, Punches, and Scissors are beautifully engineered to offer a precision cut every time. Designed to be both comfortable in the hand and well-balanced, XIKAR's unique range of cigar cutters, knives, punches, and scissors complements every cigar smoker while providing signature performance. XIKAR has the right cigar tool for every occasion: v-cut, straight-cut, or punch. 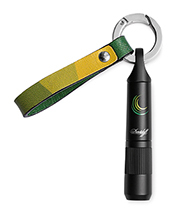 All XIKAR cutters and accessory products are covered under a lifetime guarantee.